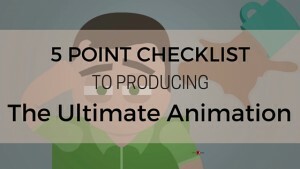 You know you need an animation; you have the project approved and you are ready to get started! Great! Organization is key to producing a successful animation. We employed our decades experience producing successful animations and created this easy to use 5 Point Checklist to help you and your team stay on task - and budget! Download the Checklist and get started today! Interested in learning more? Contact us! We'd love to talk. MediaBoss produces handcrafted video that explain, inspire and engage for businesses, agencies and broadcast. We're a passionate team of creatives and would love to work with you!